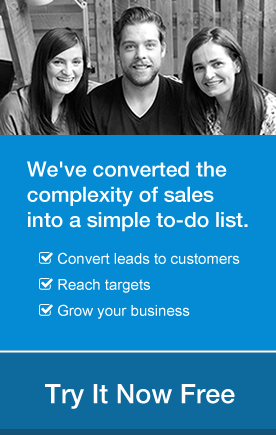 Before you can manage your customer relationships, you must first build them. So much business happens online that you don’t always meet customers face to face. One thing that hasn’t changed in the Internet age is that people prefer to do business with people and companies they know, like and trust. If you think about it, no matter what service you are buying, you’ll always pick the company that seems most trustworthy or has values in line with your own. So how do you show this to your own customers? Via the content that you publish. There are two reasons why content marketing is useful. First, most people have got tired of the hard sell. They’re not paying as much attention to advertising, either: banner blindness seems to be spreading from websites to social media feeds. And most people expect that sites will provide some information for free. The great thing about using content is that you are not advertising explicitly and you are providing valuable information for your customers. Meeting those expectations is your first step in building a relationship of trust with potential customers. Being trusted is hugely important, but even more so with the growing millennial consumer. This group has grown up with web access, doesn’t trust traditional advertising and marketing and tends to take personal recommendations from their friends over any of the traditional marketing techniques. Content is pretty much the only way to reach them. Building trust has clear business benefits. Think about your own inbox. I’m pretty sure there are some emails you open because you like the company and are interested in the information it sends, while there are others which you delete unread. As a company you want your content to fall into the first category. Get it right and your customers will be more responsive to your approaches to them, will open and read your emails, will be more loyal to your brand and more likely to buy. Socially savvy customers will also share your content, extending your reach to a wider pool of potential customers. With the right content, you can become an authority in your industry. And, as an Econsultancy study shows, creating trusted content can double landing page conversions, which will have a knock-on effect on sales. The first step is to understand your customers. You have to know what their pain points are and try to solve them. Like OnePageCRM, most SaaS companies start because the founders tried to solve a problem for which they couldn’t find an existing solution. It turned out that other people had the same problem. Do your research about how your product or service can solve problems for your customers. Use this along with industry statistics to create content that helps them choose the right solutions, such as white papers. Be clear on which problems you can solve – and don’t try to solve them all with a single piece of content. Create different content pieces for different problems, such as helpful how-to guides. While you’re at it, figure out what other issues they might face and use that information to build your content strategy. For example, the OnePageCRM content team know that motivation, productivity and making sales are key issues for customers, so that’s what our articles focus on – you won’t find a hard sell for the product anywhere. The content you create also has to let your customers get to know you. People trust people, so don’t be afraid to show your personality. Include information on your website that lets people know your company is legitimate and that you’re an expert in your niche. It’s essential to be open and authentic when creating content. If you’re not, people will realise and you might lose them forever. But if you’re truly authentic, it really pays off. A good example of this is Buffer. Not only does the team have a blog which shows their expertise by providing information and statistics about social media issues, but it has another one, Buffer Open, which allows a peek inside the inner workings of the company, including salaries, culture and more. The result is that people like and trust the product and the people behind it. The lesson: use your content to give your company a face and a personality. That will win over your potential customers. Even if you create stellar content, there’s one more piece of the trust puzzle: using content from others to build trust. This is called social proof, and it’s essential. Customer reviews and social shares, to name just two examples, let potential customers know that people like them find your content valuable. That’s a powerful persuader which enhances your reputation. You can add to this by showcasing valuable resources created by others which offer value to your customers. So if you’re talking about social media, you’d highlight a resource from Buffer, and if you’re discussing marketing, you could point customers to something authored by Kissmetrics. 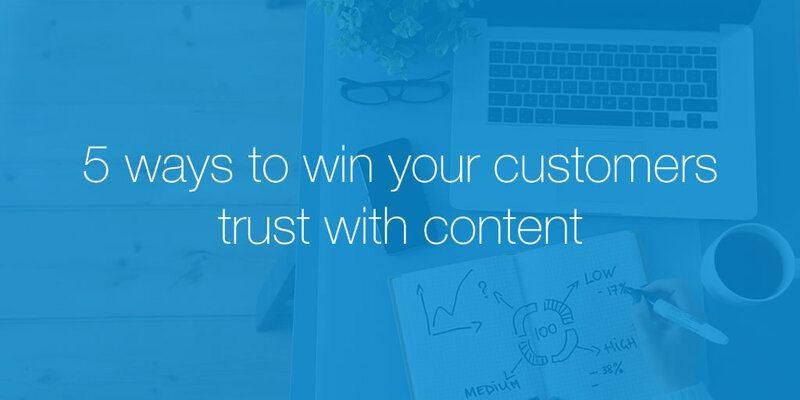 Sharing other people’s’ content generously tells your customers that you have their best interests at heart, and this helps them to trust you. You have to create content they trust in a variety of formats to reach them where they are most active. Some people will want to read blog posts; others prefer videos; still others will be focused on podcasts or presentations. To wow your customers with content, create the content they consume. Share your content where your customers are. Similarly, your customers aren’t just on Facebook. They are consuming content on a wide range of social sites. Do your research to find which sites are most important to your customer base and connect with them there to win their trust with your content. It’s not enough to hang out in the same places as your customers. You also have to interact with them and have real conversations. For example, if they reply to your marketing emails, you have to be willing to continue the conversation. And if they respond to something you have posted on social media, don’t let it fall into a black hole. Being responsive gives you the chance to show your customers there’s a real person behind the company and to create real relationships with them – and that builds trust. Make it easy for people to opt out of getting your marketing material with a one-click unsubscribe process. After all, sometimes people only leave your list because they are busy and don’t have time to read your material. If you respect their choice, they may come back and will almost certainly recommend you to others if they think you are a good fit. Finally, remember that building trust is a long-term strategy so resist the temptation to push for the sale. That will undermine the success of your content. People expect to get freebies, so provide them. Blog posts, book excerpts and free downloads appeal to your audience. The more content you have and the more social proof you have, the more likely people are to know, like and trust you. And that’s when they will come back to you to buy.